Every month, the CTSI Stories Blog will post excerpts from ongoing conversations with the institute’s co-directors. 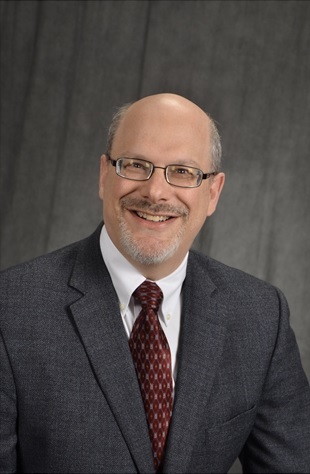 This month, Martin Zand takes a break from the upcoming CTSA grant application to discuss the efforts that the CTSI is taking to expand research subject engagement. People within the CTSI are well aware of what’s been going on here because it’s all we’ve been doing for the past two months – but for the benefit of readers elsewhere, can you give us a quick update on how the renewal grant application is going? I can say, with much relief, that it’s been submitted to the NIH. More than 50 people have contributed to the grant-writing process, and it came together beautifully. And… I’m sure you’d love to talk about something other than the grant this month. Yes, please! I’d actually like to highlight what we’ve been working on in regards to expanding our research subjects engagement program. We’re part of an academic medical center, and so one of our goals is to integrate research into the clinical mission in a substantial and meaningful way. What I mean by that is: We want the people coming to the Medical Center for their care to also be aware of research opportunities, and we are trying to work on different ways of making people aware of research and helping them understand what kind of research opportunities are available. We want to make it easy for them to express interest, be contacted by researchers, enroll in consent to participate. It’s my understanding that following up after research is also very important. Yes, that’s the second part. We want to make sure that people get a real sense of what their contribution has been. So one of the missions of the CTSI is to try and create mechanisms by which investigators inform the people who participated in our research know what their participation has helped to build. People are very interested in that: “Well, what did you find when you took my blood? And did those findings lead to changes?” The other aspect of this would be if their participation also led to new research opportunities, like grants or new projects. When people give their time, it’s important for us to recognize that, and we have a responsibility to let them know what we did with whatever they contributed. So how are you going about this? We’re looking at several different routes. In terms of making people aware of research opportunities, we already have a research notification website where people can go and say “I’m interested in being contacted by researchers at URMC.” But we want to make this available on eRecord on MyChart. So one thing we’re exploring is the ability for a patient to click on a separate tab in MyChart that says “Research studies,” and if an investigator enters a set of criteria, then a research opportunity for that patient might pop up. And if the person checks the box to stay they’re interested, then that notifies the researcher. Other studies might allow for different types of enrollment. Tim Dye and Karl Kieburtz have both had projects where they used an Amazon service called the Mechanical Turk to do survey research, and that allows you to do survey work across the entire world for very cheap. Ray Dorsey’s mPower app allows people to enroll and consent to research studies with their phone. So it opens up huge doors to what we might do in terms of expanding access to research in nontraditional ways. We want people to be engaged, interested, and excited about the research happening at UR. It’s what distinguishes us a medical center, and hopefully improves healthcare in our community. Translating that research into medical care is what we do here at the CTSI. July 2015 – Karl Kieburtz seeks feedback in the wake of the CTSI Town Hall meeting. June 2015 – Martin Zand gives an overview of what will likely be different about the next CTSA renewal application. May 2015 – Nana Bennett discusses the enhanced role of the Strategic Leadership Group. April 2015 – Karl Kieburtz talks about how the leadership is preparing for the Clinical and Translational Science Award renewals. March 2015 – Martin Zand introduces himself and discusses his interest in informatics and population-based research. February 2015 – Nana Bennett discusses the CTSI’s Seminar Series on population health. January 2015 – Harriet Kitzman reflects on her time as a CTSI co-director. Lupus is a devastating disease that affects around 1 in 2,000 people in the U.S., and involves chronic inflammation and tissue damage in various organs including the skin, kidneys, and joints. Although the mortality rate for lupus has improved in recent decades, a diagnosis of lupus often means elevated risk of early mortality and lifetime of immunosuppressive therapy, which can carry significant side effects. Anna Bird wants to improve treatment options. 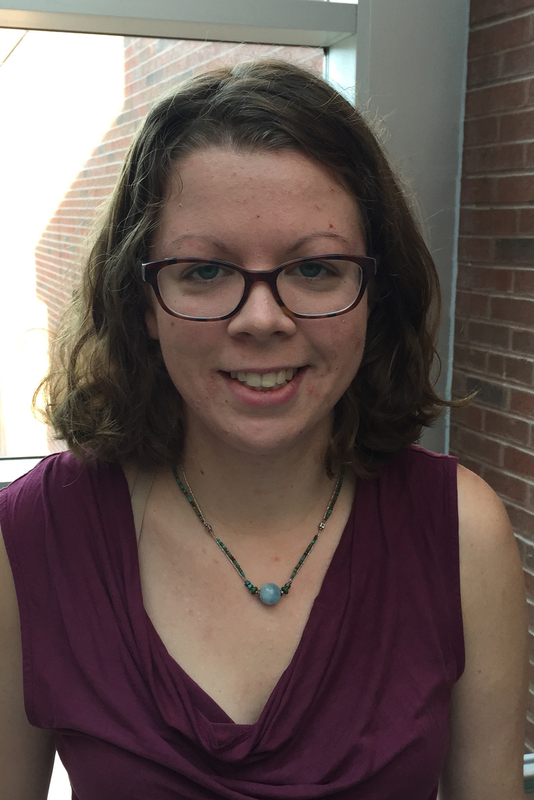 Bird, who is currently working towards a doctorate within the Immunology/Microbiology (IMV) graduate program in the laboratory of Jennifer Anolik, M.D., Ph.D., was recently awarded a CTSI Trainee Pilot Grant to study the immunologic mechanisms underlying the autoimmune disease, systemic lupus erythematosus (SLE). Improving treatment options requires the development of more specific, targeted therapeutic approaches. But to make those improvements, researchers require a better understanding of the factors driving lupus pathogenesis, a project that Bird seeks to contribute to in her graduate research. Specifically, she is using the CTSI Trainee Pilot as an opportunity to define the mechanisms underlying pathology observed in an under-characterized tissue in lupus: the bone marrow. Bone marrow in lupus often produces functionally abnormal or inadequate numbers of immune cells, and is a site where tissue necrosis and bone thinning are commonly observed. Evidence is accumulating that dysregulated cell production by the marrow contributes directly to lupus pathogenesis in peripheral tissues, as well as the high rate of infection that lupus patients experience. Although it is poorly understood why lupus patients show marrow abnormalities, the work funded by the CTSI Trainee Pilot seeks to illuminate the mechanisms driving lupus pathogenesis within the bone marrow. The CTSI project focuses on the neutrophil as a likely contributor to pathology in lupus marrow. Neutrophils contribute to inflammation in peripheral tissues including the vasculature and kidneys, and have been identified as a source of dying cell material and type I interferon, as well as B lymphocyte proliferation factors that are known to be central in driving B lymphocyte reactivity against self-tissues in lupus. Neutrophils develop abnormally in lupus and may be acquiring premature effector function that is responsible for elevated cell death seen in lupus marrow. The CTSI Trainee Pilot has also provided a platform for collaboration between researchers in Hematology/Oncology, Immunology/Microbiology and the CTSI, as well as a foundation for generation of preliminary data that Anna can use to apply for the NIH K mechanism for future post-doctoral studies. Carol D. Linden, Ph.D., Director of the Office of Regulatory Science and Innovation within the U.S. Food and Drug Administration (FDA) will present at the CTSI Seminar Series from noon to 1 p.m., Tuesday, Sept. 15, in Helen Wood Hall Auditorium. Linden, who serves in the Office of the Chief Scientist, Office of the Commissioner, oversees a broad array of intramural and extramural programs that focus on bringing scientific and technological advances – and the education surrounding the regulation of these products – to the American public. Her seminar will highlight some of the FDA’s initiatives to promote regulatory science, including through external partnerships. Largely, these partnerships focus on how the FDA can identify and integrate emerging scientific developments into the regulatory process to ultimately improve the development and approval of safe and effective medical products. The lecture is part of the the Fall CTSI Seminar Series, which is themed “Advancing Regulatory Science and Translational Science: Research, Training and Partnerships.” Lunch will be served, but please bring your own beverage. 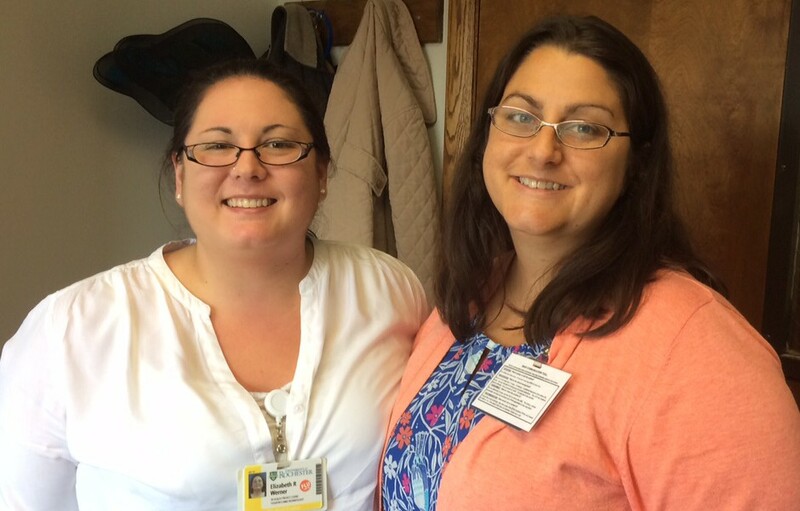 Elizabeth Werner, senior health project coordinator, and Ann Marie Scorsone, senior human subject research coordinator, have utilized CTSI resources for several of their research studies with the Division of Neonatology. They recently spoke to CTSI Stories about their experiences. Elizabeth Werner, left, and Ann Marie Scorsone, right. Thanks for taking the time to chat! Tell us a little bit about your work and how you came to use the resources within the CTSI. Werner: We’re research coordinators in the Neonatal Intensive Care Unit (NICU), and I’m currently doing a test with infants where we put stretchy bands around their chest and abdomen and measure whether their breathing is synchronous or asynchronous, which can have health implications. However, the band itself is not FDA approved, so our study is a device trial because the FDA wants to ensure that the babies are safe and that they won’t be harmed by this. I’ve personally used the Research Help Desk for their clinicaltrials.gov support, because that site can be really hard to navigate. Carrie Dykes — and before her, Cindy Doane — have both come over and helped me through the system and have identified the problems that I’d been having. Scorsone: I’m part of the National Institute of Child Health and Human Development (NICHD), and within that is the neonatal research network. So we currently have about 10 studies right now that we’re doing in the NICU as part of that network. One of those studies is something we’ve been engaged in for 15 or more years: Dr. Dale Phelps’s study on retinopathy of prematurity (ROP), which is one of the leading causes of early childhood blindness or long term eye dysfunction. We’re in a Phase III FDA trial with that right now and it includes a long term follow up, so we had Ann Dozier come speak with us about research subject retention. And Dr. Dozier really helped us in Rochester come up with ideas on how to help approach the families and talk about the long term follow up right in the beginning. We get a great follow-up rate at their 2-year visits – it’s over 90 percent – and she’s been a big help with that. What types of suggestions did she make? Scorsone: She talked about really understanding what gets in the way in terms of participation, and why you tend to lose people as a trial goes on. We’ve really tried to maintain contact with our families so they feel like they’re not just part of a research project, but actually a part of a family here. Werner: We talk to people about how this is a research institute, and how things that are helping your baby today started with studies that other families have participated in, in the past. That attitude, I think, has helped shape our whole division. We’ve really worked hard over the past five years to make both the patients and the staff feel like part of a research community. One thing we have done to help this is to set up a NICU research tent at the Stroll for Strong Kids to present study information there. Scorsone: And we also have high visibility in the NICU itself. We make sure the research team is down there, and we’re talking to families all the time – not just showing up when we need a blood draw. The idea is these people aren’t just subjects. We’re creating ties, which is what Ann had talked to us about – shaping the culture. So we present research to the staff down there, and we’ve identified nurse champions that are interested in research and want to help us. And they’ve really embraced it, because I think they can see the difference. What other programs have you used through the CTSI? Scorsone: I’ve been to Adam Tatro’s eRecord training, and he very graciously asked me to be part of his eRecord leadership group, so I gave a couple presentations as well. He’s extraordinary. We’ve actually had him come here and give our coordinators a private workshop because we do so much data extraction for all of our studies. Werner: We’re working with Adam on i2b2 as well, and we’ve leaned on the CTSI for REDCap support. I have Amanda Davin on my speed dial. I also like many of the seminars that are run over there – I’ve learned a lot from those. Have you used the Research Request Dashboard? Scorsone: Yes. Dr. Patricia Chess was thinking about doing a pilot study of a device. There was a company potentially interested in potentially buying the patent. So that involved some techie licensing stuff that goes way beyond my coordinator role. But through the dashboard, I was just able to write “Hey, I have an investigator who wants to do this,” and they connected me with Joan Adamo. So that was really neat, they’re able to connect you with all these resources in-house with the click of a button, and I didn’t have to struggle to figure out those protocols myself.